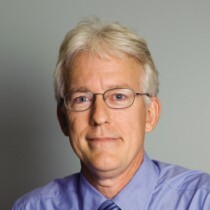 Dr. Hansen joined the faculty in 1992. He received his Ph.D. in Clinical Psychology from the University of Mississippi in 1985. Dr. Hansen is Director of the Clinical Psychology Training Program. His primary research area is child maltreatment (sexual abuse, physical abuse, neglect, and witnessing domestic violence), including factors related to identification and reporting, assessment and intervention with victims and families, and the correlates and consequences of maltreatment. An additional area of research is social-skills assessment and intervention with children and adolescents. His research emphasizes procedures for enhancing the effectiveness of clinical interventions, through assessing and improving adherence, generalization, maintenance, and social validity. Dr. Hansen is the Co-Director of the Family Interaction Skills Clinic (with Dr. Mary Fran Flood) and Director of Project SAFE, a clinical treatment program for sexually abused children and their families. Dr. Hansen's teaching interests include clinical psychology, psychological assessment and intervention, clinical supervision, and family violence. Please see Dr. Hansen's Child Maltreatment Research Team website for additional information on research and clinical service/training opportunities. http://psychology.unl.edu/childmaltreatmentlab/. Friedenberg, S. L., Hansen, D. J., & Flood, M. F. (in press). Epidemiology of child and adolescent sexual abuse. In D. S. Bromberg & W. T. O’Donohue (Eds. ), Handbook of child and adolescent sexuality: Developmental and forensic psychology. New York: Elsevier. Yancey, C. T., Naufel, K. Z., & Hansen, D. J. (in press). The relationship of personal, family, and abuse-specific factors to children’s clinical presentation following childhood sexual abuse. Journal of Family Violence. Hubel, G. S., Maldonado, R. C., Tavkar, P., Hansen, D. J., & Flood, M. F. (2011). Group treatment for a sexually abused child and a nonoffending caregiver: Case study and discussion. Clinical Case Studies, 10, 360-375. Tavkar, P., & Hansen, D. J. (2011). Interventions for families victimized by child sexual abuse: Clinical issues and approaches for child advocacy center-based services. Aggression and Violent Behavior, 16, 188-199. Wilson, K. R., Hansen, D. J., & Li, M. (2011). The neuropsychological effects of traumatic stress response in maltreated children. Aggression and Violent Behavior, 16, 87-97. Yancey, T. Y., Hansen, D. J., & Naufel, K. (2011). Heterogeneity of individuals with a history of child sexual abuse: An examination of children presenting to treatment. Journal of Child Sexual Abuse, 20(2), 1-17. Hubel, G. S., Flood, M. F., & Hansen, D. J. (2010). Sexually and physically abused children. In D. L. Segal & M. Hersen (Eds. ), Diagnostic interviewing (4th Ed., pp. 443-466). New York: Springer. Martin, E. K., Campbell, C., & Hansen, D. J. (2010). Child sexual abuse. In J. C. Thomas & M. Hersen (Eds. ), Handbook of clinical psychology competencies, volume III: Intervention and treatment for children and adolescents (pp. 1481-1514). New York: Springer. Nangle, D. W., Hansen, D. J., Erdley, C. A., & Norton, P. J. (Eds.) (2010). Practitioner's guide to empirically based measures of social skills. New York: Springer. Yancey, C. T., & Hansen, D. J. (2010). Relationship of personal, familial, and abuse-specific factors with outcome following child sexual abuse. Aggression and Violent Behavior, 15, 410-421. Kouyoumdjian, H., Perry, A. R., & Hansen, D. J. (2009). Nonoffending parent expectations of sexually abused children: Predictive factors and influence on children's recovery. Journal of Child Sexual Abuse, 18, 40-60. Asawa, L. E., Hansen, D. J., & Flood, M. F. (2008). Early childhood intervention programs: Opportunities and challenges for preventing child maltreatment. Education and Treatment of Children, 31, 73-110. Cronch, L. E., Viljoen, J., & Hansen, D. J. (2006). Forensic interviewing in child sexual abuse cases: Current techniques and future directions. Aggression and Violent Behavior, 11, 195-207. Masia-Warner, C., Nangle, D. W., & Hansen, D. J. (2006). Bringing evidence-based child mental health services to the schools: General issues and specific populations. Education and Treatment of Children, 29, 165-172. Sawyer, G. K., Tsao, E. H., Hansen, D. J., & Flood, M. F. (2006). Weekly Problems Scales: Instruments for sexually abused youth and their nonoffending parents in treatment. Child Maltreatment, 11, 34-48. Kouyoumdjian, H., Perry, A. R., & Hansen, D. J. (2005). The role of adult expectations on the recovery of sexually abused children. Aggression and Violent Behavior, 10, 475-489. Hsu, E., Ewoldt, C., & Hansen, D. J. (2004). Understanding the Mental Health Needs of Southeast Asian Refugees: Historical, cultural, and contextual challenges. Clinical Psychology Review, 24, 193-213. Kouyoumdjian, H., Zamboanga, B. L., & Hansen, D. J. (2003). Barriers to mental health services for Latinos: Treatment and research considerations. Clinical Psychology: Science and Practice, 10, 394-422. Holguin, G., & Hansen, D. J. (2003). The "sexually abused child": Potential mechanisms and adverse influences of such a label. Aggression and Violent Behavior, 8, 645-670. Hsu, E., Sedlar, G., Flood, M. F., & Hansen, D. J. (2002). Child sexual abuse. In M. Hersen (Ed. ), Clinical behavior therapy: Adults and children (pp. 449-473). New York: John Wiley and Sons. Paine, M., & Hansen, D. J. (2002). Factors influencing children to self-disclose sexual abuse. Clinical Psychology Review, 22, 271-295. Hecht, D. B., & Hansen, D. J. (2001). The environment of child maltreatment: Contextual factors and the development of psychopathology. Aggression and Violent Behavior, 6, 433-457. Sedlar, G., & Hansen, D. J. (2001). Anger, stress, and child behavior problems: Further evaluation of the Parental Anger Inventory. Journal of Family Violence, 16, 361-373. Hansen, D. J., Zamboanga, B. L., & Sedlar, G. (2000). Cognitive behavior therapy with ethnic-minority adolescents: Broadening our perspectives. Cognitive and Behavioral Practice, 7, 54-60. Hansen, D. J. (Editor) (2000). Motivation and Child Maltreatment: The 46th Annual Nebraska Symposium on Motivation. Lincoln: University of Nebraska Press. Hansen, D. J., Sedlar, G., & Warner-Rogers, J. E. (1999). Assessment of child physical abuse. In R. T. Ammerman & M. Hersen (Eds. ), Assessment of family violence: A clinical and legal sourcebook (2nd ed., pp. 127-156). New York: Wiley. Hecht, D. B., & Hansen, D. J. (1999). Adolescent victims and intergenerational issues in sexual abuse. In V. B. Van Hasselt & M. Hersen (Eds. ), Handbook of psychological approaches with violent criminal offenders (pp. 303-328). New York: Plenum. Hansen, D. J., Hecht, D., & Futa, K. T. (1998). Child sexual abuse. In V. B. Van Hasselt & M. Hersen (Eds. ), Handbook of psychological treatment protocols for children and adolescents (pp. 153-178). New York: Lawrence Erlbaum. Hansen, D. J., Warner-Rogers, J. E., & Hecht, D. B. (1998). Effectiveness of individualized behavioral intervention for maltreating families. In J. R. Lutzker (Ed. ), Handbook of child abuse research and treatment (pp. 133-158) New York: Plenum. Hansen, D. J., Pallotta, G. M., Christopher, J. S., Conaway, R. L., & Lundquist, L. M. (1995). The Parental Problem-Solving Measure: Further evaluation with maltreating and nonmaltreating parents. Journal of Family Violence, 10, 319-336. Malinosky-Rummell, R., & Hansen, D. J. (1993). Long-term consequences of childhood physical abuse. Psychological Bulletin, 114, 68-79. Hubel, G., Hansen, D. J., & Flood, M. F. (2011-2013). Identifying Risk for and Preventing Child Maltreatment in Early Head Start Families. Head Start Graduate Student Research Grant, Administration for Children and Families, U.S. Department of Health and Human Services, $50,000. Campbell, C., Hansen, D. J., & Flood, M. F. (2009-2011). Adapting an Evidence-Based Intervention to Improve Social and Behavioral Competence in Head Start Children: Evaluating the Effectiveness of Teacher-Child Interaction Training. Head Start Graduate Student Research Grant, Administration for Children and Families, U.S. Department of Health and Human Services, $49,994. Hansen, D. J., Tavkar, P., & Flood, M. F. (2007-2008). Addressing the Mental Health Needs of Sexually Abused Children and their Families: Implementation, Evaluation, and Dissemination of Project SAFE. Cooper Foundation, $18,424. Hansen, D. J., Flood, M. F., & Sawyer, G. (July, 2005 - June, 2007). Addressing the Mental Health Needs of Child Abuse Victims and their Families: Program Implementation, Evaluation, and Dissemination. Woods Charitable Fund. $30,636. Hansen, D. J., Flood, M. F., & Cronch, L. (July, 2004 - June, 2007). Prevention of Child Sexual Abuse: Program Development, Enhancement, Implementation, and Evaluation of Services for Families. Nebraska Child Abuse Prevention Fund. $56,250. Hansen, D. J., Flood, M. F., & Davies, C. (October, 2001 - September, 2004). Addressing the mental health needs of child abuse victims and their families: Program development, implementation, and evaluation. Woods Charitable Fund. $93,500. Hansen, D. J., & Carlo, G. (2001-2002). The Latino Research Initiative: A community intern model for collaborative research, training, and community programming. American Psychological Association CEMRATT Grant. $5,000. Hansen, D. J., Flood, M. F., & Davies, C. (July, 2001- June, 2002). Understanding the Mental Health Needs of Young Children in Low-Income Families: The Relationship of Child Maltreatment and Domestic Violence with Social, Emotional, and Behavioral Development. Layman Award, University of Nebraska-Lincoln. $7,492. A variety of research and clinical training opportunities are available through the Family Interaction Skills Clinic and Project SAFE, a clinical research and treatment program for sexually abused youth and their non-offending parents and siblings. Additional details and links are described via the Child Maltreatment Lab web page. Boss of the Year, University of Nebraska Office Personnel Association, 2004. Excellence in Graduate Education Award, University of Nebraska-Lincoln, Office of Graduate Studies, 2004. Outstanding Teacher Award, College of Arts and Sciences, West Virginia University, 1992.